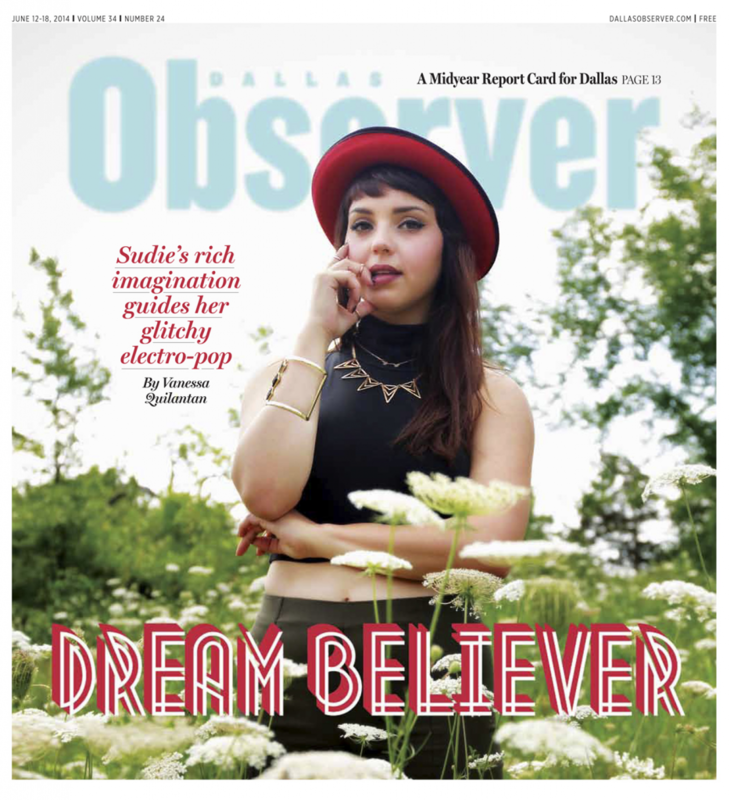 The Dallas Observer has put newcomer electro-pop singer songwriter and musician Sudie on the cover for this week’s issue. The 22 year-old has merged her formal classical training with unique DIY recording techniques to create a sound all her own. Describing her sound as, “something jazzy meets kind of crazy… if Bjork had arranged something for Ella Fitzgerald or Billie Holiday to sing over,” her unique background as a classically trained singer and the daughter of a pilot has played a significant role in forging her own territory. Sudie will release her debut self-titled EP on August 26th via Black Milk’s Computer Ugly record label. Armed with a pair of keyboards, a cheap microphone, a Macbook, and a ’70s shag carpet for sound dampening, the fiercely independent Sudie recorded some of her EP inside her bathtub. “It’s the best place for acoustics,” explains Sudie who describes herself as a stickler for having complete control over her sound. Born in Florida, she moved all over the United States as a kid, including stops in Dallas and Atlanta before moving to Dubai during her sophomore year, where she landed the lead role of Maria in her new high school’s musical West Side Story the first week she arrived. Following three years of high school in Dubai, where she repeatedly sang the US National Anthem on behalf of the US Embassy, many times in front of the Sheik, Sudie returned to Dallas to pursue a degree in vocal performance with a concentration in classical music and opera, later changing her major to a bachelor of arts in music with an emphasis on voice to free herself to more styles of music. The first song Sudie is sharing from her upcoming EP is called “Heartattack,” which the Dallas Observer describes as full of “fragmented melodies, jazz sensibilities and chimerical ingenuousness.” The song was written under unusual circumstances. Several months ago, Sudie woke up in the middle of the night, suffering from a sudden panic attack, which drove her to furiously write down lyrics. Sudie, who believes in astrology and forces larger and more complicated than we can comprehend, wasn’t completely surprised to find out the next morning by a phone call from her mother that her grandfather had suffered a heart attack around the same time she was woken. After placing the phone down, she immediately went to the piano and wrote the melody. Sudie contains five songs, including the aforementioned “Heartattack.” It will be released on August 26th via Computer Ugly. Read the Dallas Observer cover story here. Please contact Michelle or Rory if interested in talking with Sudie. Merging classical training with a unique DIY recording process, Sudie is an artist who’s truly forging her own territory. The 22-year-old singer, songwriter and musician, describes her sound as “something jazzy meets kind of crazy… if Bjork had arranged something for Ella Fitzgerald or Billie Holiday to sing over.” It’s a sound she’s crafted all by herself, utilizing a pair of keyboards, a cheap microphone and a MacBook inside the confines of her tiny bathroom in Dallas, Texas, that’s taken her to Dubai and back. The result of that unusual process is a distinctive but accessible musical style, which fuses confessional, personal lyrics with influences from across the musical spectrum. 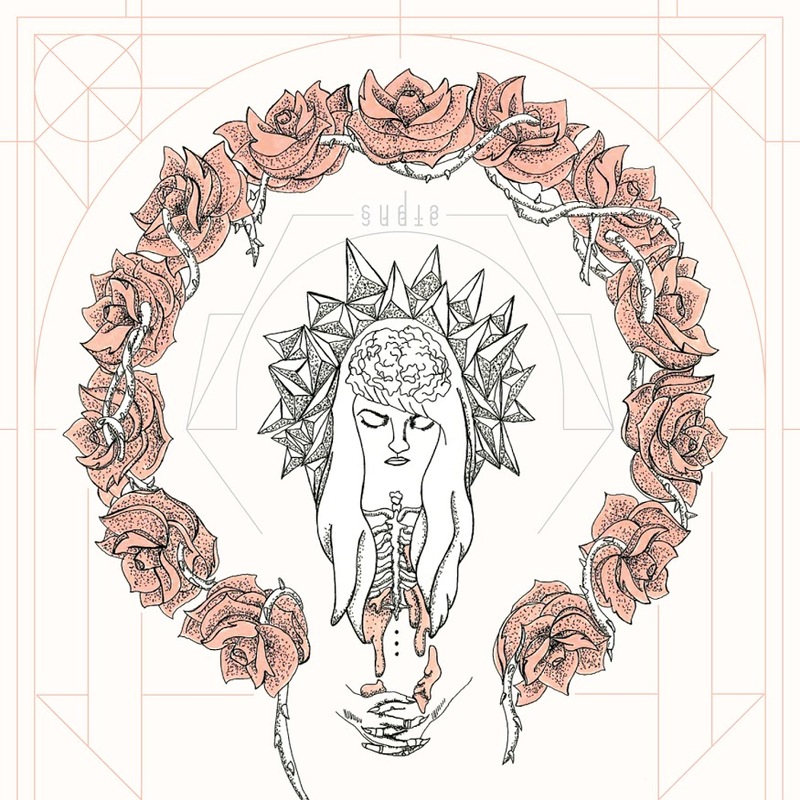 Sudie will release her debut self-titled EP on August 26th via Black Milk’s Computer Ugly record label.